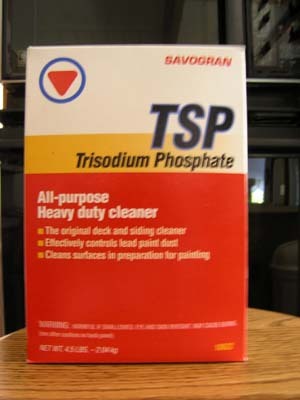 TSP (Trisodium Phosphate) is the product we’ve found to be the best to clean vinyl siding. Follow the cleaning and safety instructions on the back of the box. 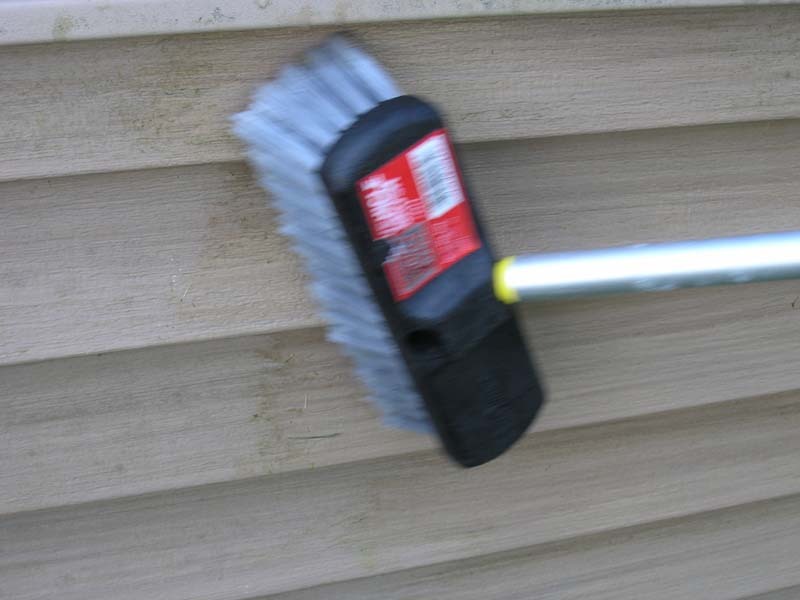 Other cleaners labeled for vinyl siding may work for you as well. Mold usually only forms on top of dirt. The siding has to be dirty to accumulate mold. No dirt, no mold. To remove mold, mix 1 cup of TSP with 3 quarts of water or per the instructions on your particular brand of TSP. You may also add 1 quart of bleach. 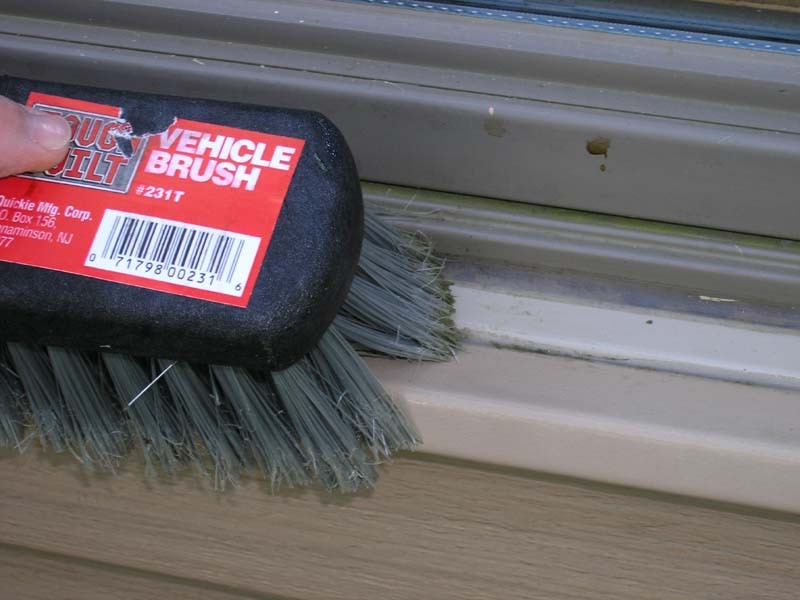 Use the vehicle brush with soft bristles to brush the mold from the siding. Soft brushing is normally all that is required. Trisodium Phosphate and the vehicle brush required are available at Lowes. The telescoping 20 ft pole was purchased at Home Depot. 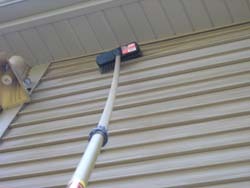 Always wash siding from the bottom, working towards the top. Hose from the bottom up. 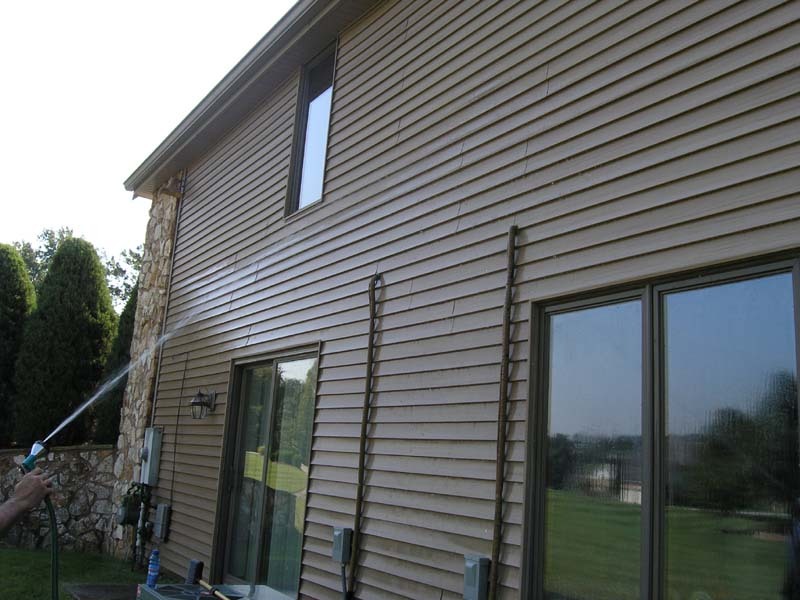 If you hose from the top, it may stain the siding. Always hose from the bottom up!